Knee pain can be as a result of joint damage, fall, or other underlying diseases. Knee pain is commonly accompanied with swelling and inflammation. Knee pain commonly occurs at the joint where two bones rub on each other causing friction. Knee pain can be relieved by use of home remedies which are quite affordable compared to the medication from hospitals and other stores that sell medicine. Resting helps in improving your general health. Resting does help in reducing pain. Resting also protects the sore and injured area. When resting place a pillow under the knee. Having enough sleep is good for the general health of the body. Sleep helps in relaxing the muscles and the joints which eventually helps in relieving you from pain and inflammation. It is advisable to talk to your physician if you are not having enough sleep. Exercises help in keeping your weight at a healthy level. Living a sedentary life can make you add weight that put stress on the joints resulting to more pain. Exercises that are helpful include jumping, walking, jogging, lifting light weight and stair climbing. Avoid over exercising as this can also lead to more pain. Before you commence your exercise ensure you have warmed up. Avoid eating foods that can make you add weight. Alternatively you can be engaged in exercises that can help you in keeping your body fit. You can subscribe to gym membership so as to keep your body fit. Aerobics can also be helpful in keeping a healthy weight. Elevating the knee while lying down can help in relieving pain. Ensure you keep the knee above your heart, this helps in minimizing swelling. You can do this by putting a pillow under the knee while lying down. Heat therapy helps in easing stiffness which can be as a result of living a sedentary life. In heat therapy you can apply warm towel or heating pad on the affected area for a period of time alternatively you can take a warm shower in the morning or in evening when you are about to sleep. You can also apply ice or cold pack in the affected so as to reduce the swelling. You can wrap the affected area with an elastic bandage, this helps in reducing the swelling. Be careful not to wrap it too tightly as this can cause more swelling on the affected area. Compressing the affected area should be not be longer than 72 hours, it is advisable to seek advice from your physician if you need to wrap it for a longer period. 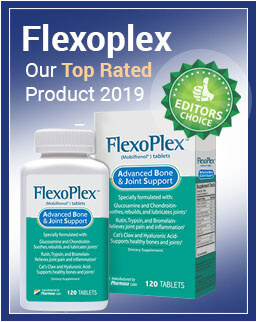 Glucosamine and chondroitin sulfate help in improving the development of bones. These two minerals are found naturally in the bones but when there is no sufficient amount of the two minerals the bones become weak. Taking supplements that contain glucosamine and chondroitin sulfate can help in improving the knee health. Ginger has anti-inflammatory properties which can help in reducing inflammation. Ginger can be taken in form of tea in the morning. You can enjoy a cup of ginger tea by mixing two cups of water, half teaspoon of ginger and honey to taste. Lemon can be mixed with honey and taken. Lemon has anti-inflammatory properties that can help in reducing inflammation. Mustard can be helpful in providing relief for joint pain. You can make plaster with the oil of mustard oil and apply the concoction on the swollen arthritis joints. The heat helps in improving the blood flow to the affected area causing a relief. Mustard seed is also nutritious as it provides selenium, omega fatty acids, magnesium which can help in improving the symptoms of arthritis. Oils such as olive oil can help in decreasing the rate of inflammation. Olive oil contains oleocanthal which has same effects as non-steroidal anti-inflammatory drugs. Oleocanthal decreases the production of cox-1 and cox-2 enzymes which are responsible for inflammation. Apart from decreasing inflammation olive oil is generally good for your health as it is an anti-oxidant. Apple cider vinegar helps in regulating the body Ph levels. It contains acid and calcium which alters the body Ph resulting to high acidity. High level of acidity causes reduction of Calcium deposits leading to less drawing of Calcium from the bones. Epsom salt helps in relieving pain as it contains Magnesium sulphate which is a pain reliever. Magnesium helps in relaxing the muscles and the nerve endings relieving pain and stiffness. Magnesium is an essential mineral in making of the bones. Turmeric has anti-inflammatory properties which help in reducing inflammation. Turmeric also contains curcumin which is a powerful antioxidant. Turmeric is responsible for lowering the levels of enzymes in the body which are responsible for causing inflammation. Omega 3 fatty acids have anti-inflammatory properties therefore taking it can help in relieving joint inflammation. Foods that contain omega 3 fatty acids include salmon, tuna, halibut, cod, snapper and bass. There are several foods that you can eat that can help in reducing joint pain. Some of these foods include fruits and green leafy vegetables such as kales, green tulips, cabbage and spinach. Tai chi relaxes the body which can result to knee pain relief. Milk contains calcium which is useful in building the bones. Taking milk can help in reducing pain in the knee. Pineapple helps in reducing inflammation. It contains bromelain, an enzyme that is associated with reduction of inflammation and swelling in cases of injuries. Papaya is an anti-inflammatory that can help in reducing inflammation caused by knee pain. 22. Cayenne pepper. Cayenne contains capsaicin, a component that inhibits the production of substance P that is usually involved in the transmission of pain signals to the brain. Egg yolk and walnut paste contain omega fatty acids that can help in reducing inflammation. Hot showers help in reducing stiffness of the knee. You can have hot shower in the morning after you wake up and in the evening before you go to bed. Supplements that contain chondroitin and glucosamine can help in relieving pain in the knee. Home remedies can be helpful in treating knee pain since most of them do not have side effects compared to medications found in stores which some can cause serious effects.